Here at WhatShed, we have looked at all of the major UK garden building retailers and today it is the turn of Taylors Garden Buildings. In our Taylors Garden Buildings review, we are going to be taking a fair and unbiased look at this retailer and letting you know if this is the right retailer for you. Taylors Garden Buildings are one of the larger retailers we have come across and the amount of different products that they have for sale is really quite incredible. They have sheds of all shapes, sizes and materials as well as summerhouses, greenhouses, playhouses and pretty much anything else you could think of that could be set up in your garden. Taylors Garden Buildings have been around for a few years and while the people running the company now are actually different from the ones who started it many years ago, they have built up quite a reputation for being a garden building retailer who have something for everyone. Metal, plastic, wood and most probably Kryptonite are what their sheds are made from and their selection of log cabins, bike stores and other garden structures is very impressive also. One thing that is great about Taylors Garden Buildings (though to be honest does not really show what kind of retailer they are, but it is interesting nonetheless), is that many top production companies who make TV shows such as Big Brother and Emmerdale have used Taylors Garden Buildings for their sets. There are so many different products listed on Taylors Garden Buildings that it really is quite incredible. As a matter of fact, this Taylors Garden Buildings review is one of the longest we have done as there were just so many items to look at. In all, they have an astonishing 24 different categories for you to click. This really is amazing and if that was not enough, when you click on one of these categories, most of the time you then have even more sub categories to click on. 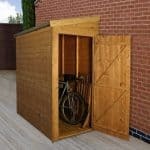 Sheds, summerhouses, greenhouses, playhouses, log cabins, arbours, bike stores and much more are all listed on here. When you click one of their categories, like sheds for example, you will then get a whole load of other sub categories which will let you fine tune your search a little bit. We never see having a huge choice of products as a bad thing at all, but we think some people may find this a little on the overwhelming side. Due to the vast amount of products, this is certainly a site that is going to take you a little while to look at, especially if you want to make sure you have not missed anything. One thing that we really like about Taylors Garden Buildings is that it is like no matter what category you click on they have a product for everyone. Let’s take their summerhouses, for example. Now their summerhouse section is one of the largest on the site with multiple subsections, but this is great as if you have a garden that is not too large then they have some more compact summerhouses on offer such as their fantastic 7 X 5 Forest Tetbury Summerhouse. But if you are lucky enough to have a large garden where space is no issue, then they have some very large summerhouses like their huge Doveridge Summerhouse which is an incredible 14 X 10. It is not just summerhouses. No matter what you click on, there will be a product that will fit in your garden. We really like how Taylors Garden Buildings have gone above and beyond to ensure they have products for gardens of all shapes and sizes. Our aim here is to be the fairest, most neutral Taylors Garden Buildings review on the web, so we are not copping out when we tell you that this is a retailer who have products for everyone. 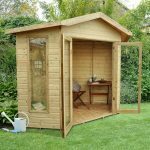 Much like they have ensured they have sheds, summerhouses and other garden buildings in all sizes, Taylors Garden Buildings have also made sure that they have products to suit all different kinds of budgets. They may not have as many low cost structures as some of the other retailers, but they still have some fantastic budget priced items here, such as their Forest Economy 6 X 3 Overlap Wall Shed which comes in at a little over £200. They even have summerhouses for under £500 and plenty of budget priced playhouses that will make the kids happy, but not cause your bank balance to cry. As well as this though, Taylors Garden Buildings have a rather large selection of pricy and high end garden buildings as well. Actually we would go as far to say that they have some of the priciest structures we have seen. We are not knocking them for this though, as their high end products are made with the finest materials, it is just that they have a price tag to match. For example, they have a series of log cabins that are all over 5.5 M wide and are just as well made as an actual extension for your house would be. This kind of size and quality though comes in at a price, with most of these coming in at over two thousand pounds. If you have a lot of money to spend, then Taylors Garden Buildings will have something of a very high quality for you. One thing we had to check a few times while writing this Taylors Garden Buildings review, was that they have no clear cut sales section on their site. 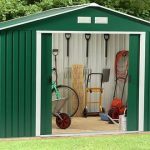 Now some of their products like sheds and playhouses will have a great value or economy section where the lower priced items are, but there is never any big kind of sale happening here, which is something many of the other garden buildings retailers do. When it comes to using the site, we really did not have any trouble at all. But with the vast amount of choices at your fingertips, we know this is a site that some people may have just a little bit of a hard time with. While they have made it very easy to see all their main categories on the homepage, when you click on one, let’s take wooden sheds for example, you then have another 11 sub categories with each of these having even more sub categories. Here at WhatShed, we love this kind of choice, but we understand how for some that this may seem a little bit daunting and may cause them to not know what to click. For us, this is certainly the kind of site where you want to have a cup of coffee and a few biscuits on standby as you are browsing it, as to see all it has to offer may take you a while. We know we have made this sound kind of negative, but if you stick with it, we are sure that after a minute or two you will get the hang of how this site is organised. 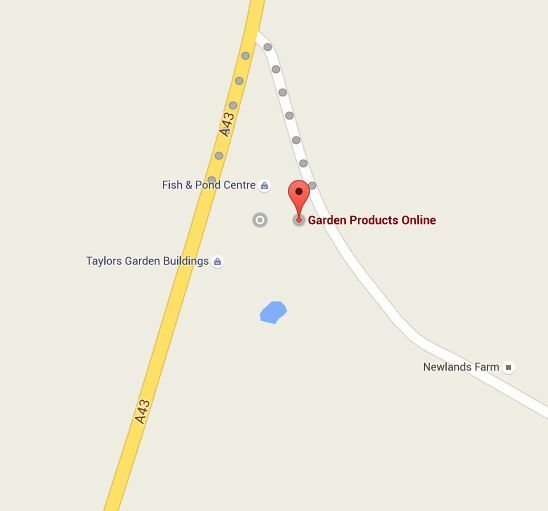 One thing that we think Taylors Garden Buildings do really well is their search engine. If looking through pages and pages of sheds is not your idea of fun then you can just pick what kind of structure you are looking for, what size roughly you would like and it will show you all they have. We really like this search engine and feel that it is a great way for people to get to the items they want without having to look through lots of pages. When you do find something that you like, you will find that the level of information Taylors Garden Buildings gives you is just spot on. All the dimensions and what makes each product special will certainly let you know if the shed or whatever it is you are looking at is for you. One criticism that we do have, is that most of their products are only shown off with one picture, which for us is not enough. 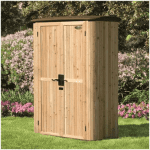 Most of the garden building retailers that we have seen allow for customer reviews, but there are not any Taylors Garden Buildings customer reviews on their site. We find this very, very odd and wish that it was something they would add. They do have a customer rating section at the bottom of every single product, but unless you were to scroll down all the way to the bottom of the page then chances are you would not have any clue that it exists. None of the products have any star rating next to them when you see them in their categories, so you would have no clue that this customer rating system exists unless, like we said, you just so happen to scroll all the way to the bottom of the page. You rate the product out of 5 stars and that is that. There is no way to leave any kind of comment or anything like that, you just give it a star rating that most people will never see. What Are The People Saying About Taylors Garden Buildings? When looking for Taylors Garden Buildings reviews online we always think that instead of just looking at the 1 star reviews or the 5 star reviews that you should really take the time to read the ones in between as well. This way you will be able to get a more balanced view of Taylors Garden Buildings. Just down below we have some of the best sites when it comes to actual Taylors Garden Buildings reviews. 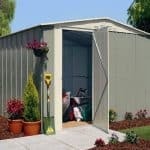 Now a couple of these sites only have a handful of reviews for Taylors Garden Buildings, but even with them being a large retailer there are not actually a whole lot of Taylors Garden Buildings out there. One thing to keep in mind is that Taylors Garden Buildings do sell thousands of different items, so reviews are always going to be mixed. Also it is important to remember that far more people will take the time to write a negative review when things have gone bad than those who have had a great experience. Feefo: Feefo is a great site for Taylors Garden Buildings reviews as they rank them not just by customer satisfaction, but they also rank them separately for the quality of their products. This is something we think is really good as it gives you a better idea of what Taylors Garden Buildings are like. Feefo have mostly positive reviews for Taylors Garden Buildings, with an incredible 88 percent of them being positive for their overall service. This is something that impresses us greatly and even when it comes to the quality of their products, these have a phenomenal 95 percent positive rating. In total there 91 reviews that vote Taylors Garden Buildings as either excellent or good for their service. As far as the quality goes there are 99 reviews that score them as either good or excellent. There are some negative reviews listed here, but these are very few and far between. But to show this is a fair and unbiased Taylors Garden Buildings review, we will have a look at the negative reviews. Only seven of the over 100 reviews rate Taylors Garden Buildings as poor from a service point of view. And every one of these is a customer having an issue with delivery times. As Taylors Garden Buildings are such a large retailer, you are always going to get the odd person who is unlucky and gets to be the person when things go wrong. This is not making excuses for Taylors Garden Buildings at all, but the good by far outweighs the bad here. Trust Pilot: Here we have Trust Pilot who to be honest with you when we started this Taylors Garden Buildings review, we thought would be our go to site for Taylors Garden Buildings customer reviews. Actually though, they only have a handful of reviews for Taylors Garden Buildings, but they are a great site so let’s see what they have to say. There are only seven reviews here and as a whole Taylors Garden Buildings is rated as average with three stars. There are only one 1, 3 and 5 star reviews listed here, with the rest all scoring them as 2. The reason why most of the reviews here are for two stars is people having issues with delivery and even one review where the quality was said to be not all that great as once they had installed their dual wheelie bin chest. The reviewer, Denis Whittaker, had this to say: “it looked really good until today when, for the first time, I opened it up to remove a bin, only to have a corner post and door to fall off! On inspection I saw that the corner post had been fitted to the side panel (by the factory) using only staples”. You are always going to get the odd order that goes wrong and we really feel for this person, but again for the most part the majority of reviews you will see will be positive. Still we feel that it is worthwhile to read a few negative reviews so you get a more rounded look at a retailer. Visit website and see reviews by clicking here. Yell: The Taylors Garden Buildings reviews on this site may not be a whole bunch, but they do paint Taylors Garden Buildings in a very good light. There are three quite in depth reviews written here and two of them score Taylors Garden Buildings at five stars. They really do make you feel comfortable in ordering something from Taylors Garden Buildings, so be sure to read them. There is one negative review on here, but to be fair it is based on the old company who owned the Taylors Garden Building name. No doubt the customer had a rough time and we can certainly sympathise, but we do not feel it is a review potential new customers need to worry about. Visit website and see reviews by clicking here. Here if a retailer has not exactly blown us away we will list our concerns, but as for the most part, Taylors Garden Buildings reviews are positive and our own experiences with the site were good. We felt having an Our Concerns section was a little harsh, as honestly there is not really anything majorly wrong with Taylors Garden Buildings. Delivery times may be a slight concern of ours, as while there were not loads of negative reviews the ones that were there mostly had issues with delivery times. 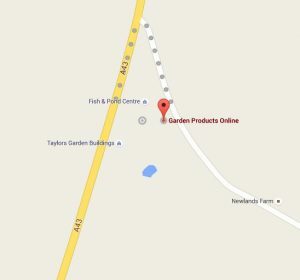 Many products on the Taylors Garden Buildings site actually list quite lengthy delivery times with some of their larger items having an over 30 days delivery time. This is a long time, but we understand it can take a while to get a large log cabin organised and then sent out. But if you are a customer the wait is even worse so while not a major concern, we certainly suggest you pay close attention to how long the product you are interested in will take to get to you. Hey we like to be as fair as possible and while this has been a pretty positive Taylors Garden Buildings review, we always no matter how good a retailer is have a few thoughts, ideas or even ramblings about how things could be just that little bit better. The first thing would be to have an actual customer review section on their site. The way they let people rate their products is really not very good as anyone can go on and just click an star they want, even if they have not bought that particular product. While we like the in depth way Taylors Garden Buildings tell you all the information you need to know, we feel that sometimes a picture really can be worth a thousand words and that they should showcase their sheds, summerhouses and other products from all kinds of angles so the customer gets a better idea of what exactly they are purchasing. The last suggestion we have is to work on those delivery times. We know that sometimes this is out of their hands for how long it can take to make all the parts and then send a shed or whatever on its merry way, but if they make it a real point to stress to a customer that this particular product may take a little longer then we are sure people would be more forgiving. Writing this Taylors Garden Buildings review has been a lot of fun and in general a real pleasure as they are such a great site. 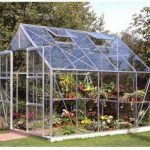 We love the large selection of products and while it may take a while to find exactly what you want, we feel it is well worth it as they have so many different structures in all shapes and sizes. Honestly we really do not have any major issues at all and feel most customers will be very happy in their dealings with Taylors Garden Buildings. As you can tell by reading our Taylors Garden Buildings review, we really like this site and by going by actual customer reviews that are on the web, people who have actually purchased a shed or other garden building from them for the most part are very happy as well. Still, we love to hear as much as possible about Taylors Garden Buildings, so if you have purchased something from them we would love to hear about your experience.